PerioBrite, a low abrasive toothpaste, does more than clean teeth - it supports periodontal health. 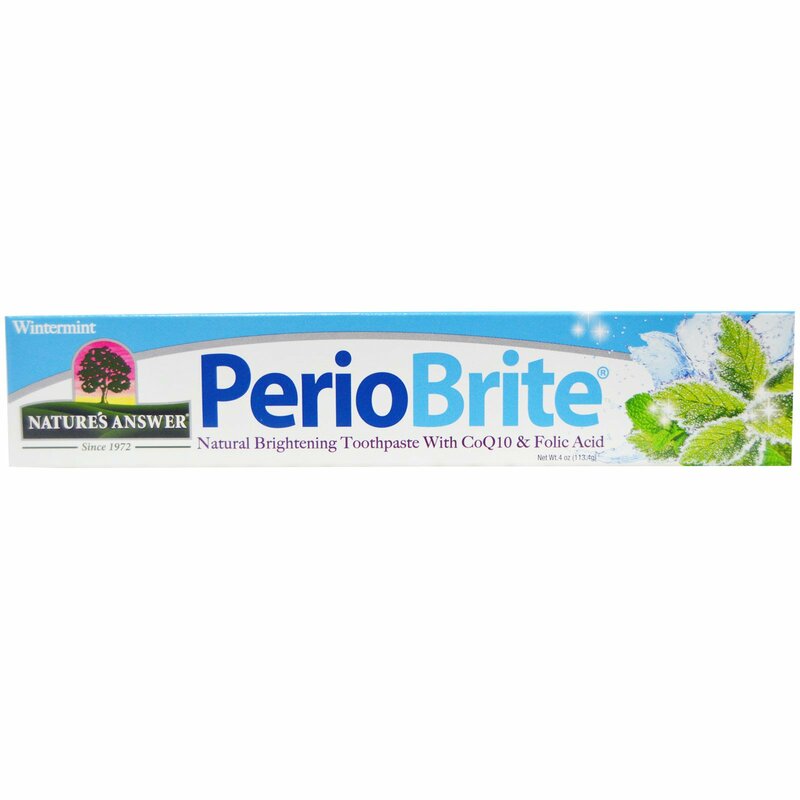 dentist formulated PerioBrite contains soothing organic herbs well-known for their action while Co-Q10, folic acid, oregano, cinnamon, and clove support tissue and gum health. PerioBrite naturally whitens teeth while leaving your breath fresh and clean, energizing your whole mouth with a cool, sparkling mint-fresh sensation. Daily brushing helps promote healthy teeth and gums.